A Basketball Mode is Being Teased For Rocket League. It looks like Psyonix has been working on a basketball mode judging from a recent tweet. Instead of a soccer goal, there looks to be a gigantic basketball goal. The defender would have to jump up to block the ball, which means goal tending is legal? This mode already looks like it will be a lot of fun and will require some skill for sure. No date has been announced yet, but it’s safe to assume it will hit sometime this month, just in time for the NCAA madness of March. February 17th, to be exact. Psyonix recently stated they wanted the game to come out mid February and they have fulfilled that promise. Psyonix recently stated that the game could definitely be out this month via a fan tweet reply on Twitter. The game is currently in the certification process at Xbox, but Psyonix is aiming for a mid-February release date. @JamzplaysFIFA We’re currently going through the certification process with @ID_Xbox. Mid-February is still our target. Glad you’re excited! 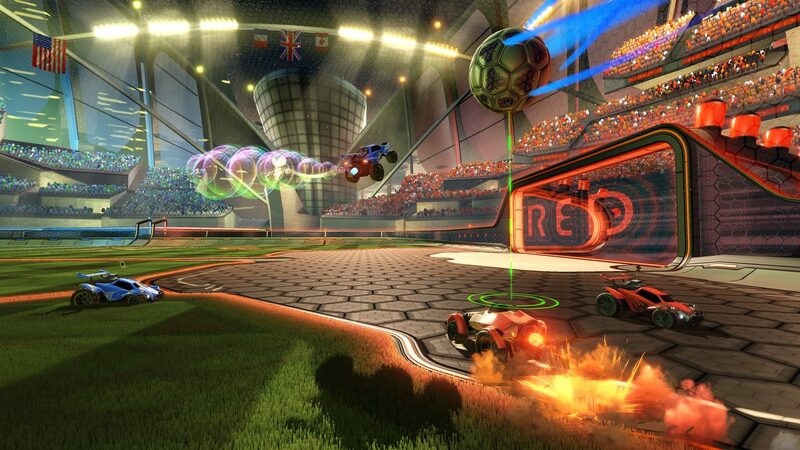 Rocket League on Xbox One still doesn’t have a solid release date, but we can expect it soon enough it seems. It wouldn’t the XB1 version with out some exclusive new vehicles, right? Announced at The Game Awards tonight, Rocket League hits the Xbox One February 2016. The breakout hit video game of 2015 was recently rated on the Taiwanese Game Software Rating Regulations board. This leads to speculation that an announcement could be coming soon. Rocket League is currently available on PS4 and PC with cross-play functionality between both platforms. If Psyonix is able to break down the console barriers even further and have cross-play between all 3 platforms, this could be the start of a wonderful thing. There is no word on when this will happen, but I will keep you updated. Rocket League’s new Chaos Run DLC will be adding a significant amount of new content, as well as a new free map titled: Wasteland. The team over at Psyonix has announced the Supersonic Fury DLC pack for their surprise hit of the summer. The pack gives players more customization options such as 2 new cars, 6 new decals for each new car, 5 new paint jobs, 2 new rocket boosts, and 2 new wheels. The price for the content has not been announced yet, but there will also be some free content as well. The new game update will include a free new arena, Utopia Coliseum, and a spectator mode. All of this content will be coming in August, but no date has been specified. Check out the trailer below.